We’ve already explored choosing your florist. But what can you ask them, once you’ve narrowed it down to one or two whose work you like, that will give you a good idea of whether or not you’ve made the right choice? First off, even before you begin asking the ‘right’ questions, do a bit of research on flowers so that at least you know what you’re talking about. 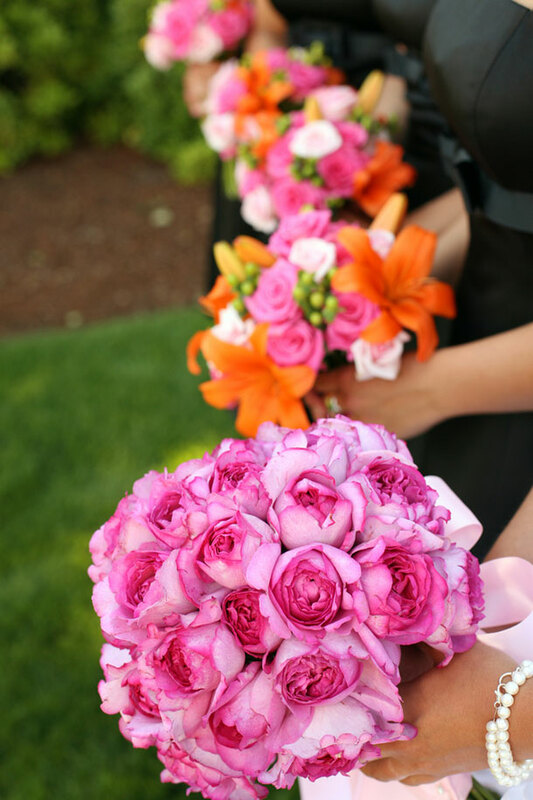 What flowers are in season at the time of your wedding? What colours are they? Look through arrangements in magazines and online and get an idea of what ‘look’ you like. You’ll need to book your florist roughly four months before your wedding, a slightly difficult mindshift as virtually none of the flowers in season when you book her, will be in season on your wedding day. Pictures of the types of arrangements you like and the colour palette you’re after (set up a Pinterest page for your florist to see). Pictures, or at least drawings, of your wedding dress and the attire of the wedding party. A budget, and possibly other quotes from florists. How long have you been doing wedding floral arrangements? What do you think of my ideas and colours? Who will arrange my flowers, you or one of your team? What bouquet style do you think will best suit my dress? Do you charge delivery over and above your quote, and do you deliver? When is the cut-off date for changing arrangement orders? Can you make a sample display of my bouquet / table centrepiece? Can you quote me per piece? Do you have any tips to help me save money? Do you already have any other weddings booked for the same weekend, and if so, what is the maximum you will you cater for? Do you supply vases and equipment?